Adam Osborne is a British author, book and software publisher, one of the most charming, persuasive, egotistical, and supremely confident people in the computing field, indeed, in all industry. Adam Osborne was born in Thailand in 1939 to British parents and spent much of his childhood in Tamil Nadu in South India, where his father, the writer Arthur Osborne, a devotee of Sri Ramana Maharshi, helped popularize ideas from Eastern religion in the West. Osborne moved to England as a teenager and received a degree in chemical engineering from Birmingham University in 1961. He later received a doctorate in chemical engineering at the University of Delaware and took a job with Shell Oil in California, but he left Shell in the early 1970s to pursue his interest in computers and technical writing. In the mid-1970's Osborne became a computer hobbyist and began self-publishing on computing, writing a programming manual for Intel's first microprocessor. 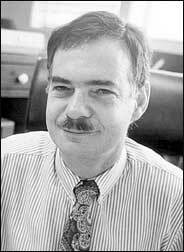 In 1972 he founded Osborne and Associates to create a series of easy-to-read computing manuals (long before the For Dummies... series). By 1977, Osborne Books, as the company had become, had published over 40 computing titles. In 1979, Osborne sold his publishing company to McGraw-Hill. During the same time, he began writing columns for computer magazines Interface Age and later Infoworld. He was becoming increasingly convinced that for computers to be truly useful, they needed to be mobile, as they needed to move with the people who used them and be available whenever and wherever people were. This was a concept he didn't think the existing companies understood or were prepared to deal with. The idea of the laptop computer (also known as a notebook computer, notebook, notepad) wasn't a new one. It was visualized by Alan Kay at Xerox PARC in 1968 and talked of in his 1972 paper as the Dynabook. The idea was later developed in another Xerox PARC creation—NoteTaker. The laptop is a small portable computer having its primary components (processor, display, keyboard) built into a single unit capable of battery powered operation, which typically weighs from 1 to 7 kg, depending upon dimensions, materials, and other variables. 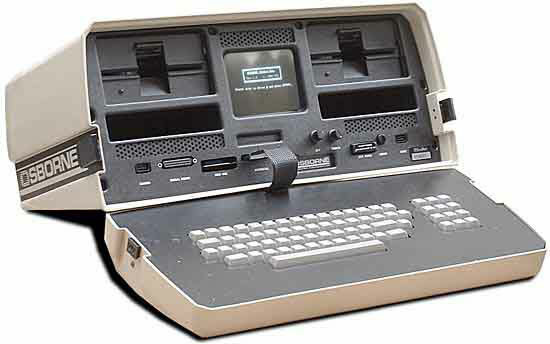 As the personal computer became viable in the early 1970s, the thought of a portable personal computer arose. In March, 1980, at the West Coast Computer Faire, Adam Osborne approached the ex-Intel engineer (and a nerd from the Homebrew Computer Club, just like Steve Leininger of TRS-80, Apple's Steve Jobs and Steve Wozniak) Lee Felsenstein with the idea of starting a computer company that would not only produce an affordable, portable computer, but would offer bundled software with the machine. Osborne asked Felsenstein to develop the hardware of the portable computer. Using the money from his publishing business along with venture capital Osborne found Osborne Computer Corp. in January, 1981. Following Osborne's specifications, Felsenstein designed a portable computer that had a case with a carrying handle, could survive being accidentally dropped and would fit under an airplane seat (see the nearby photo). The machine weighed only 24 pounds, had a 52-column display that would fit on a five-inch screen, contained a cushioning tube, and had two floppy disk drives. The computer even has an optional battery pack, so it doesn't have to plugged into the power outlet. To meet the small screen requirements, Felsenstein stored a full screen's worth of information in memory and gave the users keys that allowed them to scroll the memory screen across the display. In April, 1981, at the same West Coast Computer Faire, Adam Osborne introduced the Osborne 1 Personal Business Computer for initial price $1795. The Osborne 1 (see the lower image) featured a 5 inch 52-column display, two floppy-disk drives (capacity 92K), a Z80 microprocessor (working at 4.0 MHz), 64k of RAM, a parallel port (IEEE-488), and a modem/serial port (see the Technical Manual of Osborne 1). It included a bundled software package that included the CP/M operating system, the Microsoft MBASIC programming language, the WordStar word processing package, the SuperCalc spreadsheet program and Digital Research CBASIC programming language (2000 worth of retail software alone). Osborne 1 appears to be a huge market hit—in September, 1981, Osborne Computer Company has its first US$1 million sales month. In the first 8 months since its introduction, 11000 Osborne 1 computers ship. The peak sales per month for Osborne 1 personal computers over the course of the product lifetime was 10000 units, despite the initial business plan for the computer predicting a total of only 10000 units sold over the entire product lifecycle. Despite early success, Osborne struggled under heavy competition. Kaypro Computer offered portables that, like the Osborne 1, ran CP/M and included a software bundle, but Kaypro offered larger 9 inch display. Apple Computer's offerings had a large software library of their own and with aftermarket cards, could run CP/M as well. IBM's 16-bit IBM PC was faster, more advanced, and offered a rapidly growing software library, and Compaq offered a portable computer that was almost 100% compatible with IBM's offering. Osborne's efforts to raise $20 million in capital to rush an IBM-compatible computer to market were unsuccessful. Besides the severe competition, Osborne made several heavy management and business errors—difficulty meeting demand, poor quality of the production, overstocking, etc. The final blow occurred in 1983 when Adam Osborne boasted about an upcoming product months before it could be released, killing demand for the company's existing products. It is unclear whether this boast was about the Osborne Executive, which was released in May 1983 for $2495 and featured a 7 inch display and did not sell as well as its predecessor, or, more likely, the Osborne Vixen, a smaller portable that promised to offer compatibility not only with earlier Osborne models, but also with MS-DOS, allowing it to run software designed for IBM and Compaq computers. Dealers rapidly started canceling orders for the Osborne 1. Unsold inventory piled up and in spite of dramatic price cuts—the Osborne 1 was selling for $1295 in July 1983 and $995 by August, the sales did not recover. Losses, already higher than expected, continued to mount, and Osborne declared bankruptcy in September, 1983. This marketing blunder came to be known as Osborneing and the phrase circulated in Silicon Valley for the next decade. 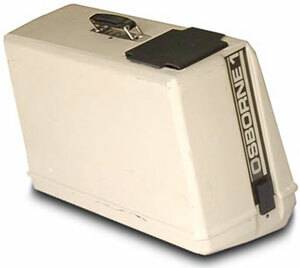 Osborne emerged from bankruptcy in the mid 1980s and finally released the Osborne Vixen, a compact portable running CP/M, in 1984. However, the company never regained its early prominence. In the 1990s Adam Osborne returned to India, the land of his youth, and started up another company dealing with computer software. He died in March, 2003.